A person who has been charged with criminal mischief should seek advice from a Houston criminal defense attorney. Vandalism, and destruction of property are considered “criminal mischief” which will be charged either a misdemeanor of a felony depending largely on the amount of damage to the property. 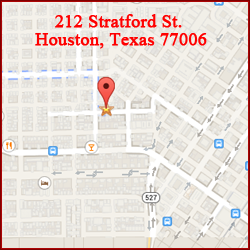 Brittany Carroll Lacayo represents individuals charged with criminal mischief throughout the greater Houston area. 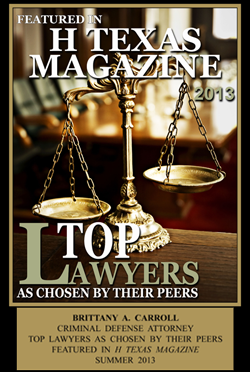 Brittany Carroll Lacayo will fight to achieve the best possible result for your case. Call Brittany Carroll Lacayo’s office at 713-504-0506 to speak with her directly, or you can fill out an online case evaluation form to schedule a free initial consultation and case evaluation. Generally, the amount of property damage will determine how the crime is charged. In Texas if the damage to property caused by criminal mischief is $1,500 or more in value, the crime with be a felony. If you are charged with felony criminal mischief, your lawyer may be able to show the property damage falls below $1,500 and therefore, the crime would be considered a misdemeanor. Your attorney may also be able to negotiate a plea bargain to have the charges reduced to a misdemeanor. Typically, the amount of property damage will determine how the crime is charged. Criminal mischief will also become an automatic felony under certain circumstances, regardless of the dollar amount. For example, if the property damages is someone’s home, and the damage is caused by a firearm or explosive weapon, the offense will become a state-jail felony punishable by 6 months to 2 years in prison and up to a $10,000 fine even if the property damage is less than $1,500. Additionally, the offense will be characterized as a state-jail felony where the individual damages a church, community center, or cemetery and the damage is anywhere less than $20,000. Graffiti is using aerosol paint, an indelible marking, or an etching or engraving device to make markings on someone else’s property without their permission. Typically, the amount of property damage will determine how the crime is charged. Graffiti will automatically become a state jail felony if the marking is made on a school, a cemetery, a public monument, or a community center even when the amount of property damage is less than $20,000. In certain circumstances Brittany Carroll Lacayo may be able to negotiate an arrangement where the charges will be dismissed in exchange for your agreement to repair the damage caused to the property. This may or may not be an option depending on your particular case.